Another spot of giving back love to the community after having driven a TWIKE that was offered to me after my catastrophic total-loss accident with TW560. 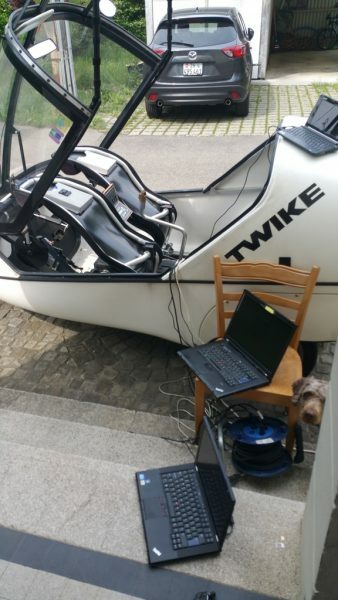 TW230, a 10Ah capacity TWIKE from 1999 was lent to me by Thomas who also asked me if I could tell me if I could hear something that wasn’t OK with his TWIKE. After a few hundred km, my verdict was: some ball bearings are on their way out and will be needing some attention soon. 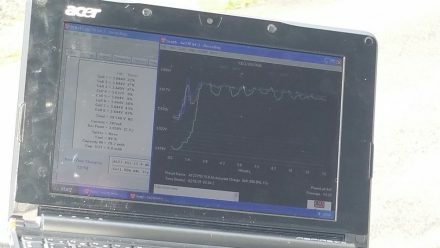 The battery pack, however, was showing strange drops in voltage at higher loads and the end-charge voltage would drop around 20V after charging. This behavior is a good indicator for a) dead cells in a stack, b) asymmetric charges in single cells, c) older cells. I asked Thomas if it would be OK for me to balance his battery pack … he gladly accepted. I’ve already written about taking care of Lithium-based cells here and how to balance TWIKE (LiFeO3 & LiNiCoAlO2) cells here. Do not remove the battery cover and interact with TWIKE batteries if you don’t know EXACTLY what you’re doing! 400V DC kills efficiently and silently. You don’t want your partner to find you slumped over and positively dead in your TWIKE! First of all, you will have to fully charge your TWIKE. 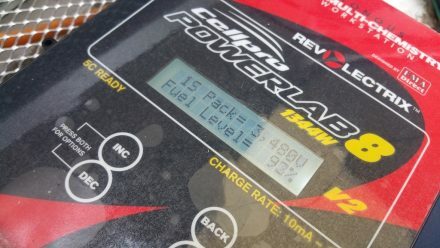 Ideally, you will chose a charge rate of only 2A which will see your batteries charged very close to their theoretical maximum. This saves lots of time on every single stack. 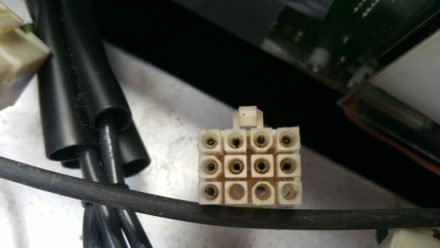 TW230’s 10Ah pack has 15 8-cell connectors. 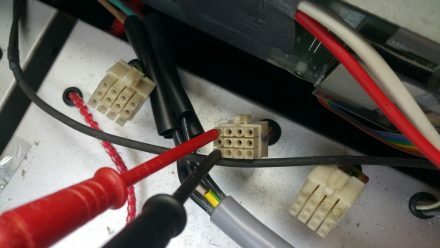 They are automotive-grade Molex connectors which can be purchased on-line. 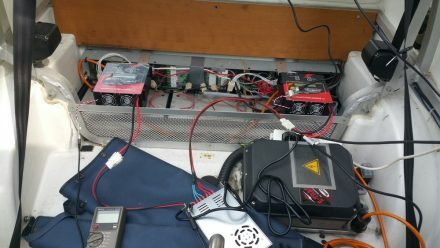 Then, we will want to check every stack for dead cells – for this we will measure the stack’s partial voltages one by one. 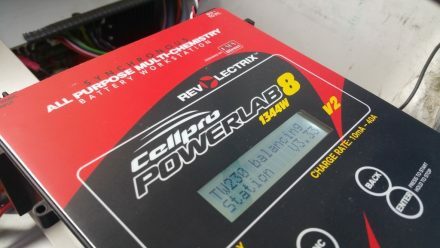 Be careful to have your volt meter set to measure volts and not amps! This is where the leads go. 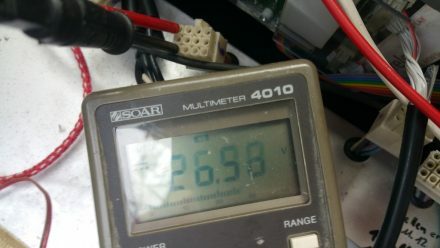 Typically, (for LiFePO3 @ 3.6V) the voltages should be between 26.5-28.5 depending on cell age and how badly they have drifted. As we will have to balance this stack cell-by-cell, we need to find out which one of the cells is dead. For this we measure one-by one until we find our dead cell. Ah – there is the culprit! After measuring all cells and stacks we can start balancing. This is a rather time-consuming affair. 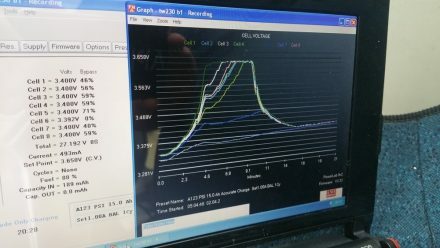 With LiFePO3 batteries, you have to calculate about 30-40 minutes per stack if everything goes well. If you have to attempt to revive a cell or add multiple Amp-hours worth of energy due to badly drifted cells, the time required per stack can easily go up to 90 minutes or more. This is where having more than one balancing workstation comes in handy! We re-configure our first battery workstation to single-cell operation (make sure that you double-check your CC/CV settings before charging! – you, again, are risking a fire!) and start charging one-by-one. With the other PowerLab8 we can start on the other stacks. 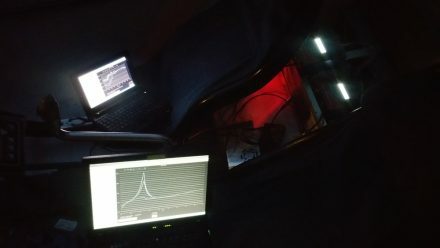 Both PowerLab Workstations are perfectly capable of charging and balancing without any computer present. I, however, prefer to know what’s going on at a much higher level of detail and log all data for high-res graphic display. Let’s dive into what kinds of issues you might be facing and how you might want to interpret them or react to them as Revolectrix algorithms are good but cannot possibly cover all situations. Lagging cells are common. First check the connector for dirt and use contact spray to rule out contact problems. If the condition persists, then these are cells that are either older or have heavily drifted out-of-sync with the others. 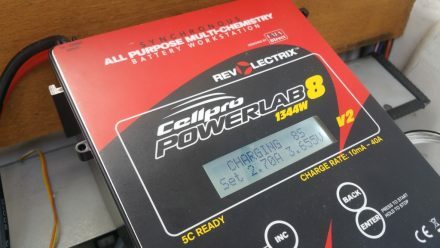 PowerLab workstations usually do a very good job getting these cells back in line with the others. Sometimes, however, the charger will stop charging after a while even if the lagging cell has not yet reached the other cells. I don’t know why, yet. If you leave the stack in this state, you will not have balanced your stack yet and the danger to this cell will be even higher, as it will be the only weak cell in the stack and thus have to bear the weight of the rest of the stack and as a result drift faster than before. Just restart the process at 500mA instead of 2A for the stack. 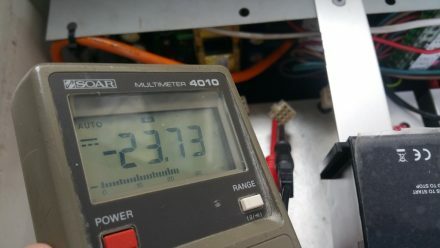 This will see voltages for the other cells rise much slower. 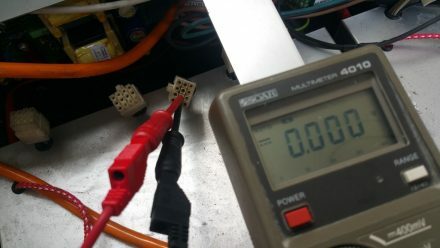 It seems that Revolectrix’ algorithms measure mean voltage-delta over time and discard this as “normal” before determining charge termination. (just a guess) It is imperative to bring all cells up to the same end-voltage before continuing to the next stack. Another issue is when a cell doesn’t hold the charge. This is a definite sign of cell ageing. 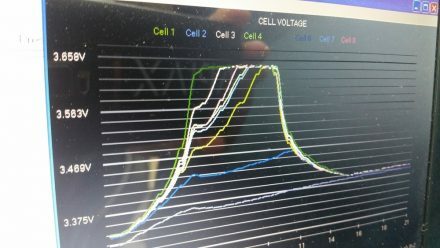 Ideally, you take the time to do a cingle-cell charge at a very low 100mA charge rate to slowly nurse the cell back to a near-to-normal state. 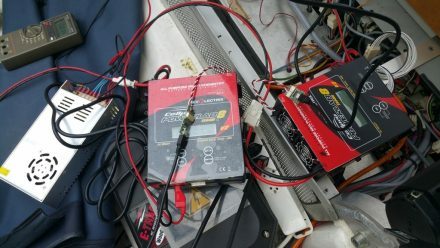 You will never be able to get the cell back to how it was when new but you will definitely be able to cut the voltage drop considerably. I know, I know. This sounds like lots of work. Furthermore, Lion packs from FineMobile don’t need (well, it depends how you look at it) and don’t support balancing. If you were to apply the the super-conservative charge-limits employed by FM, you’d probably not need to balance the ones from Dreifels either. (Which is – incidentally – what I’m doing with my new battery pack when I’m in daily operation). That said, I’d rather pay up to 50% less for a kWh of battery and have to balance my batteries once every 3-6 months to keep them in tip-top shape than to drive around large amounts safety margin in form of unusable capacity. This might be just me … but I hate being nannied by someone else. I want to be able to decide for myself. Want to know more? Reach out to me.